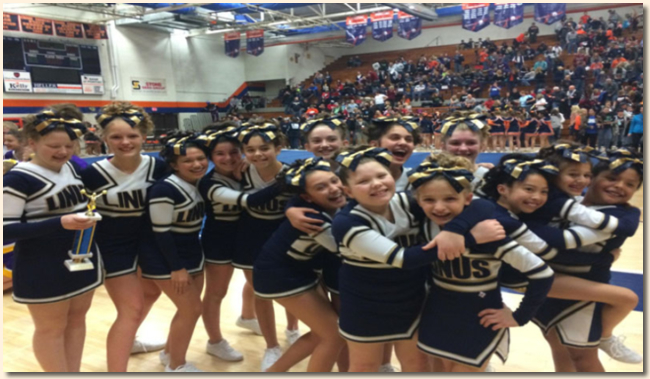 Congratulations to the St. Linus competitive cheerleader team who took first place in the Pontiac Competitive Cheer Competition on December 6, 2014. The girls have qualified to compete in the state competition in Springfield on January 2-4, 2015. GO HAWKS! !